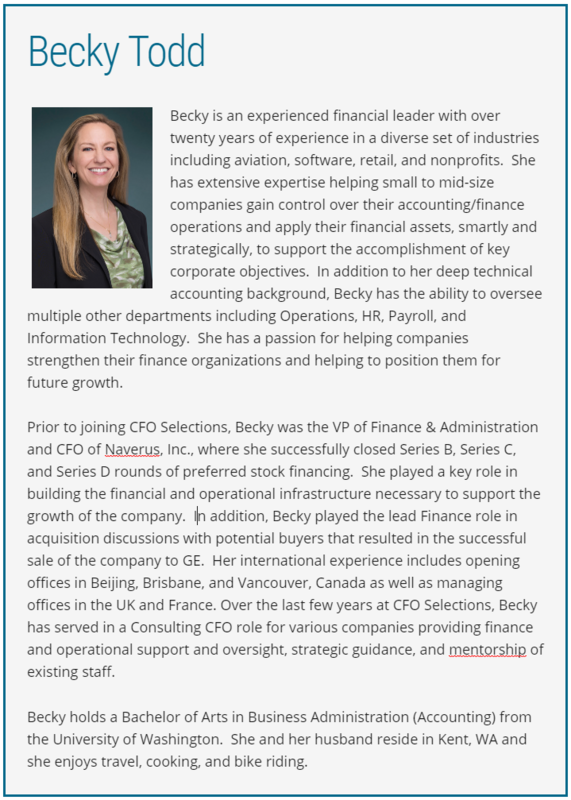 Becky is an experienced financial leader with over 20 years of experience in a diverse set of industries including aviation, software, retail, and nonprofits. She has extensive expertise helping small to mid-size companies gain control over their accounting/finance operations and apply their financial assets, smartly and strategically, to support the accomplishment of key corporate objectives. In addition to her deep technical accounting background, Becky has the ability to oversee multiple other departments including Operations, HR, Payroll, and Information Technology. Becky has a passion for helping companies strengthen their finance organizations and helping to position them for future growth. 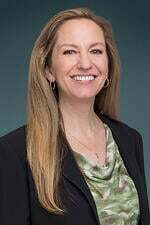 As VP of Finance & Administration and CFO of Naverus, Inc., Becky successfully closed Series B, Series C, and Series D rounds of preferred stock financing. She played a key role in building the financial and operational infrastructure necessary to support the growth of the company. In addition, Becky played the lead Finance role in acquisition discussions with potential buyers that resulted in the successful sale of the company to GE. Her international experience includes opening offices in Beijing, Brisbane, and Vancouver, Canada as well as managing offices in the UK and France.